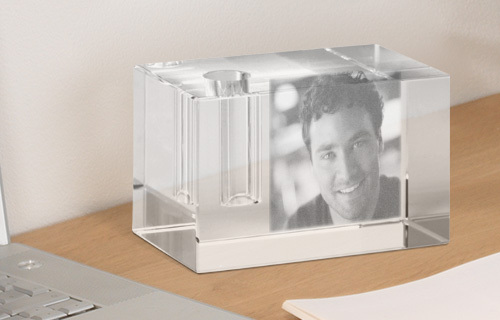 Almost too elegant for the office: our high-quality crystal pen holder with your favorite photo brings order to your desk. Pick your favourite image, which is then transmitted by a special laser process to the interior of the glass block. 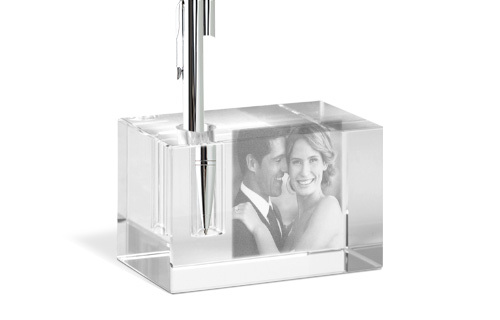 Your personal pen holder comes in an attractive gift box.